Beauty is one of those words that is truly universal. No matter the translation or interpretation, it’s understood and appreciated. 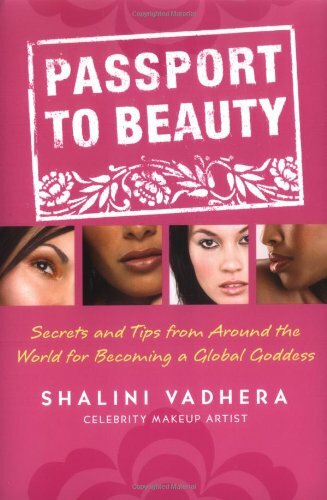 Author and beauty expert, Shalini Vhadera wrote the book, Passport to Beauty, for us all to release our inner “Global Goddess”. In it, she reveals beauty secrets of women around the world. Conveniently, they can all be done in your own kitchen. In Greece, women (aka original goddesses) grind the pits of their famous olives, add them to olive oil and use the mix as a full body scrub to cleanse and remove dead skin. Japanese use sake (when they’re not throwing it back ;-)) to exfoliate and to fade dark spots. They also take the line “drink your bathwater” to another level, adding it to their tub time as a way to detox the body. Here in the US, Georgia peaches rub their state fruit (high in vitamin C) on their faces to give their skin a youthful glow. So that’s Nene’s secret….? The chicas in Chile rejuvenate with a grape and flour mask on their face and/or body. Indian spices go a long way. One of their secrets is a mix tamarack and yogurt to prevent stretch marks. Perfect for all the mamas-to-be. The mujeres in Mexico keep their hands intact by mixing lemon juice with sugar and scrubbing away. I guess an alternative would be dabbing a little lemonade in any problem areas hehe. Effective, quick and simple secrets. All sound like winners to me. For more, start trekking around the globe to search and discover….or just get your copy of Passport to Beauty.